According to the State Statistics Committee of Uzbekistan, of this number, exports reached US$3.03 billion (growth rates – 20.4%), and imports – US$3.35 billion (growth rates – 30.3%). Foreign trade balance made up minus US$319.2 million. The volume of exports of the Republic of Uzbekistan in January-February 2019 amounted to US$3.03 billion (an increase, compared with the same period of last year, reached 20.4%). The share of goods in the composition of exports reached 86.6%, of which energy and petroleum products – 16.0%, textiles and textile products – 7.5%, food products – 4.2%, ferrous metals and products from them – 1, 4%, non-ferrous metals and products from them – 4.6%. If goods and services were exported to 119 countries in January-February 2018, then in January-February 2019 – to 123 countries. The export volume of fruits and vegetables amounted to more than 175.3 thousand tonnes and reached US$86.4 million (growth rate – 83.7%). 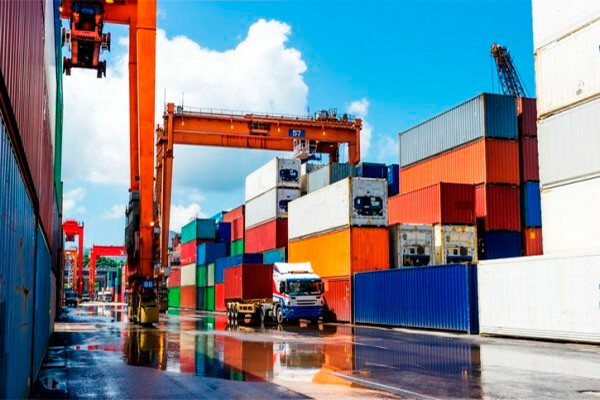 In January-February 2019, the volume of imports in the Republic of Uzbekistan amounted to US$3.35 billion (growth rate – 30.3%).